It must be Christmas! 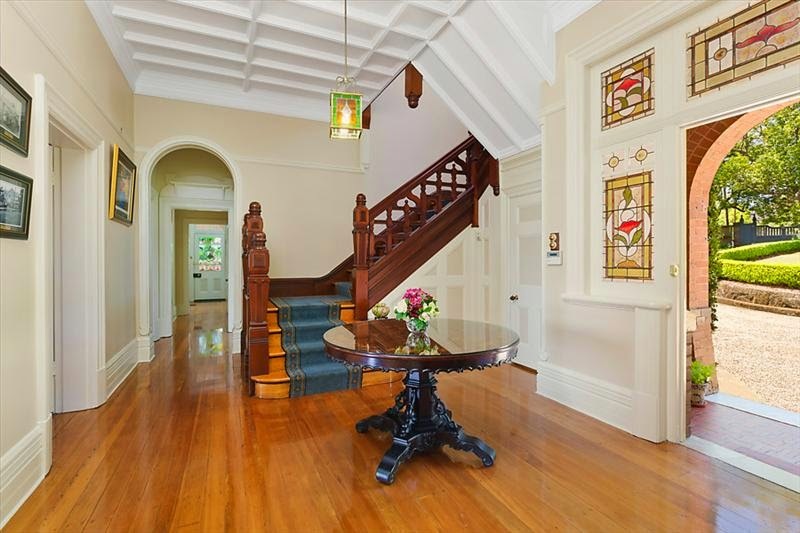 Here are four of the most wonderful NSW examples of Federation style on the market, three of them with elaborate Art Nouveau decoration. 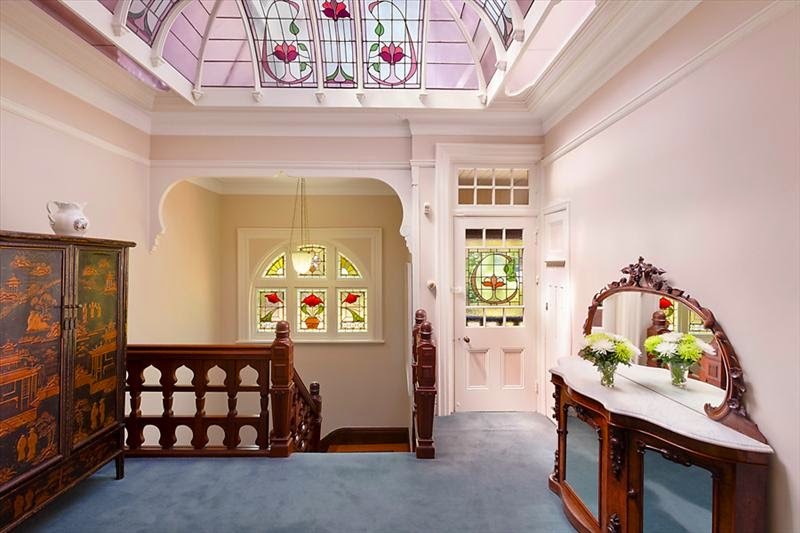 This level of beautiful Art Nouveau decoration is rare in Sydney, and its elaboration is exquisite. This is a beautifully decorated house for the period. For example, the wonderful Art Nouveau gable decoration above left , with Romanesque arches to contrast, and the picturesque appearance overall. The shingle decoration on the right was quite avant-garde for the time. In particular, there are no Gothic elements in the window panes or roof design, a deliberate break from earlier English influences. Also the bay windows are topped by slate tiles, while the roof has Marseilles tiling. 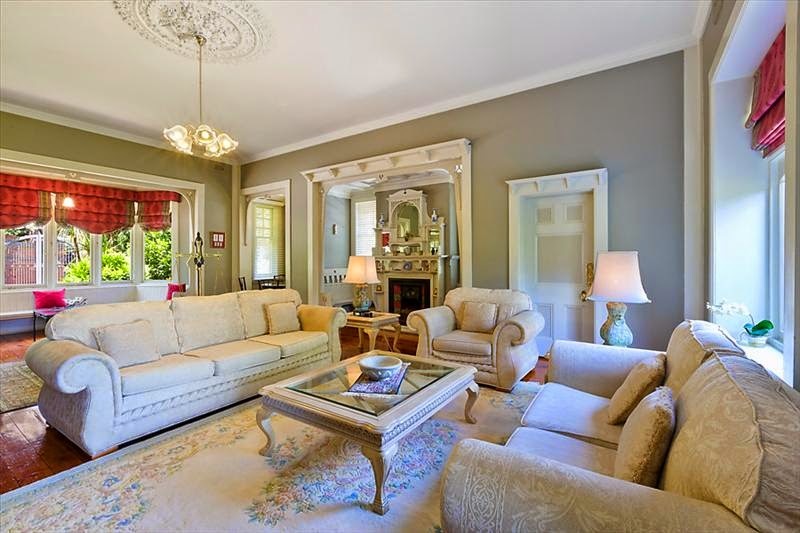 Circa 1901 Queen Anne Federation-style mansion ‘Colinroobie’: this spectacular property is in fantastic condition and it is considered one of the finest examples on the north shore. Grand rooms amble over two large floors, there is a wine cellar in the basement and a pool and gazebo in the huge grounds. 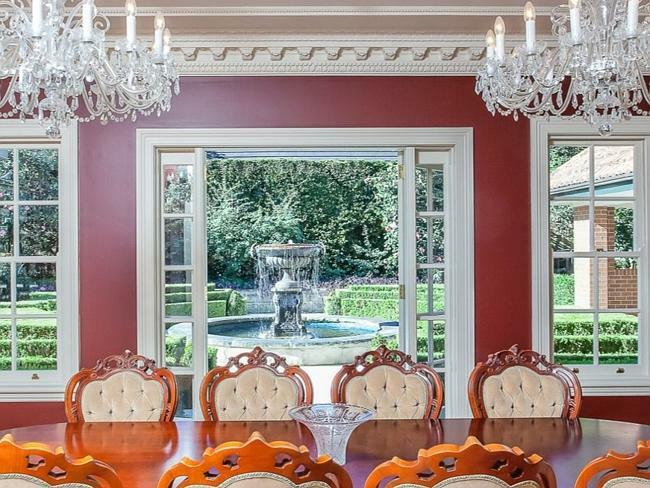 The opulent features and detailing make this house a must-see for the decadent entertainer. 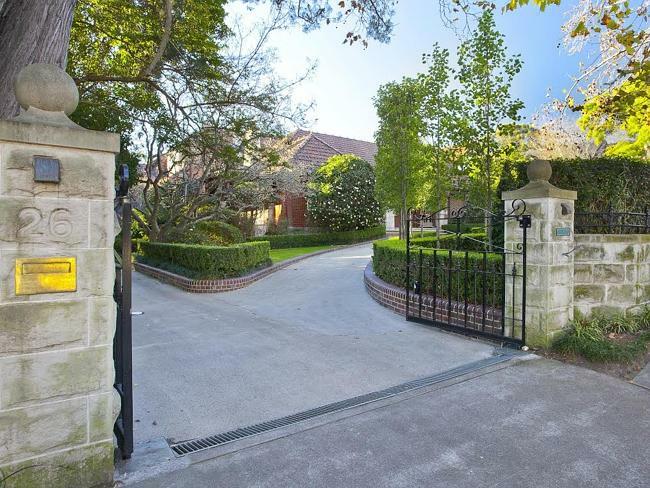 It’s located 600 metres from Pymble station and it has a circular driveway too. The Art Nouveau fireplace is both wonderful and quite rare, as is the design of the bay window. 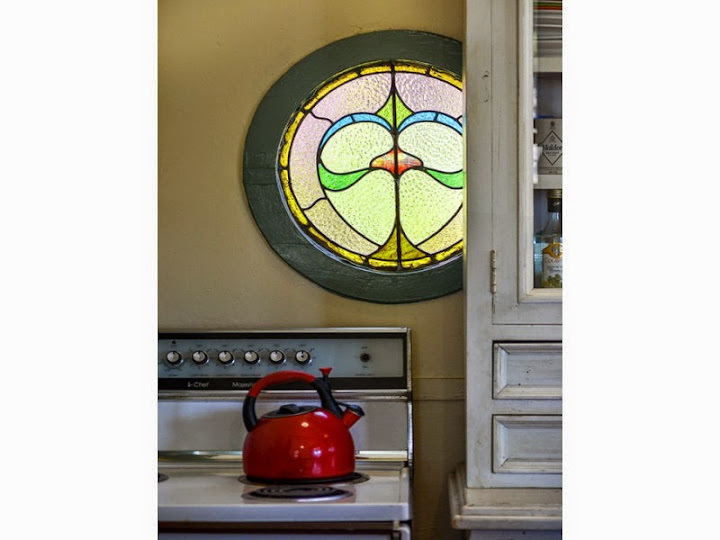 The leadlight glass is totally Art Nouveau, with no gothic-style coloured glass panes above the transoms. The original ornate ceilings and light shade are still in place. The upper floor shows many Art Nouveau style brackets and ornamentation. The chimneys are unusual, not having the usual chimney pots. Behold, the inglenook with fireplace. Inglenooks are designed with a lower arch to retain heat by the fireplace and create a comfortable conversation area in colder weather. The ornamented door frames are very Edwardian, and unusual in a 1901 built home. And yes, another inglenook with fireplace in Art Nouveau style. Quite rare! Don’t you love the elaborate Art Nouveau leadlight windows? The flowers have the appearance of being contained in a flower bowl. 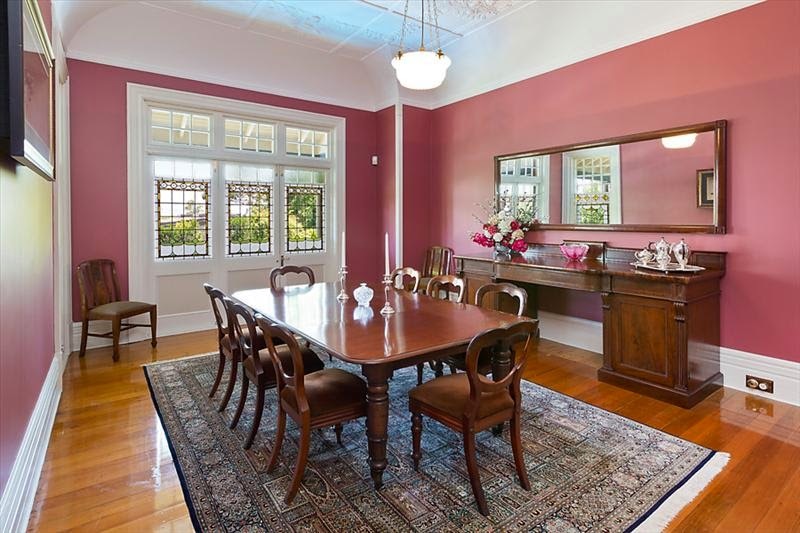 The ornate ceilings, picture rails, high skirting boards and bay window are exemplary of Federation Queen Anne style. The closets are also ornamental in a flowing Art Nouveau design, very unusual to have built-in wardrobes, let alone designed with such beautiful decorative style. 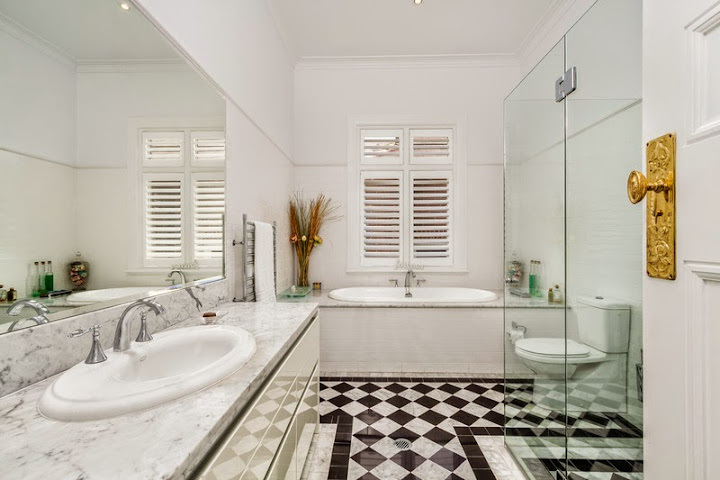 Another beautiful Federation bathroom, complete with marble wash stand and period tap ware. 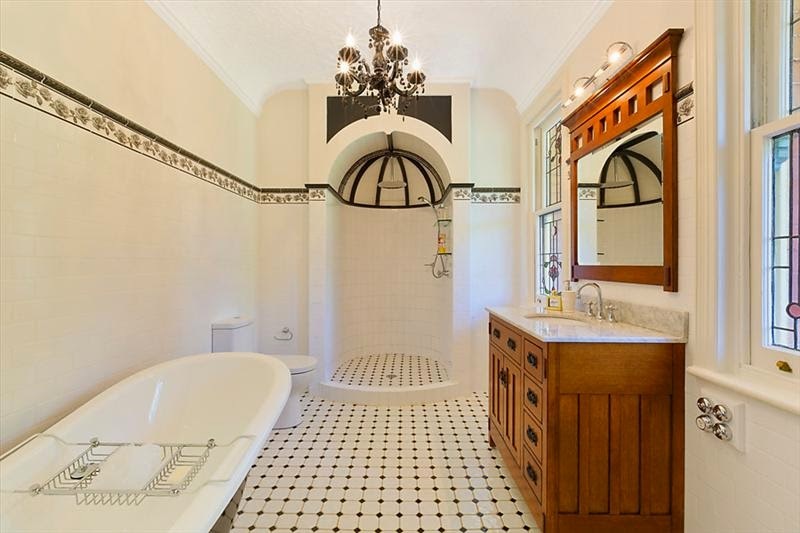 What a beautiful frieze and exquisite shower nook. 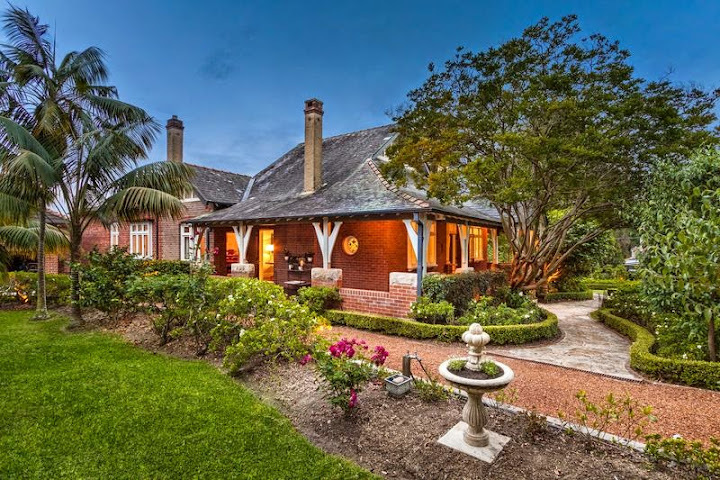 ‘Brenchley’: Quintessential North Shore Estate. 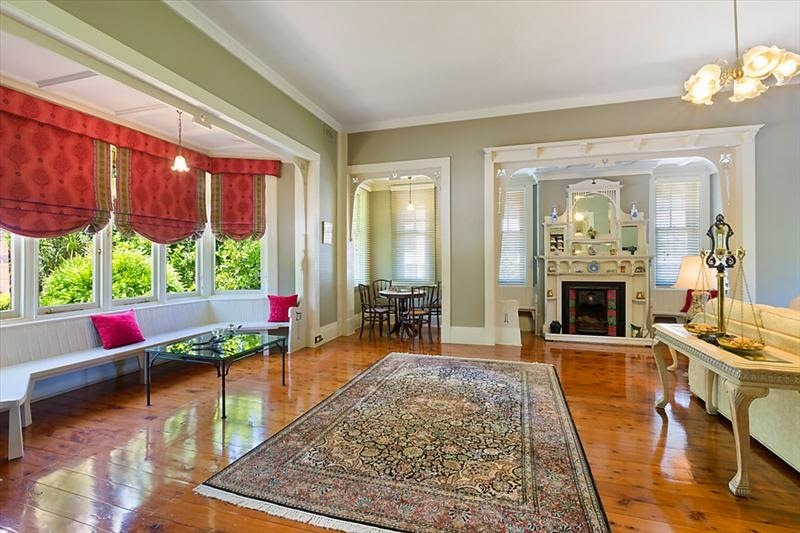 A significant 1907 federation home of outstanding scale and beauty providing first class family living on a magnificent 1,941sqm. 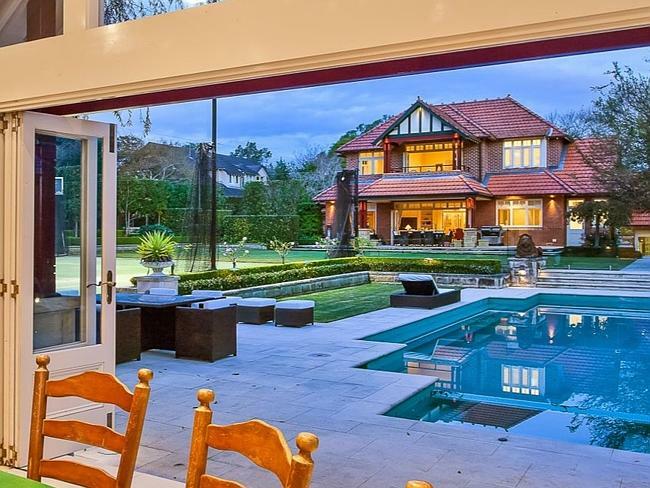 In Lindfield the Federation home of Corrs Chambers Westgarth partner Shaun McGushin and his wife Pauline is up for expressions of interest of more than $4.85 million. 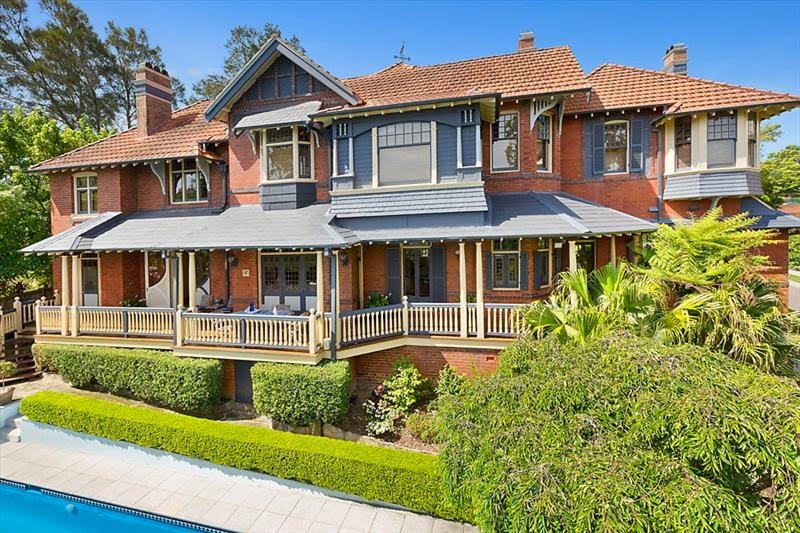 Built in 1907 and on 1941 square metres, Brenchley last traded in 1992 for $875,000. 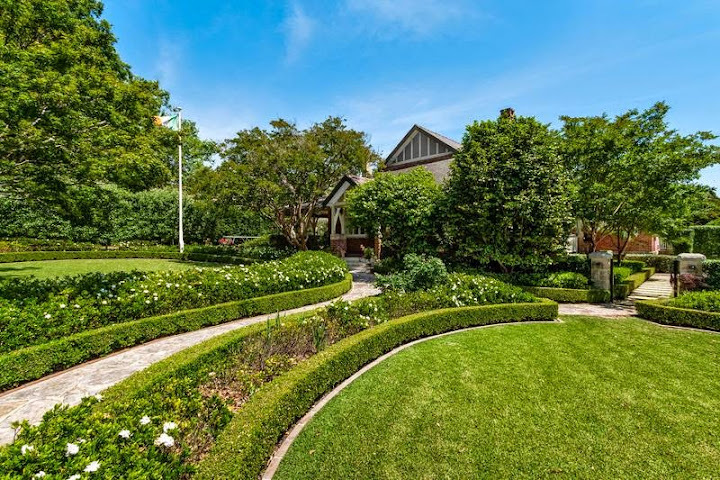 Since then the McGushins have renovated the five-bedroom home, with a redesign by the late architect Hugh Fraser and a beautifully landscaped garden by Peter Fudge. Spread over two levels it has formal and informal living areas, a study, teen retreat and a swimming pool. 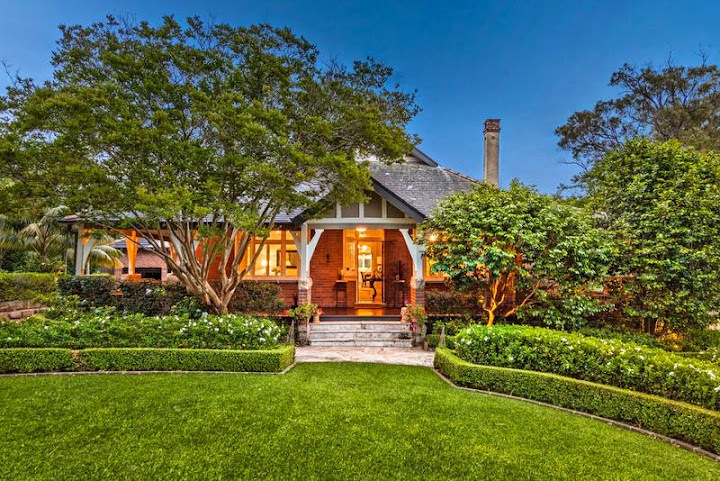 The Treatts Road property is listed with Pamela McCulloch, of Belle Property Killara. 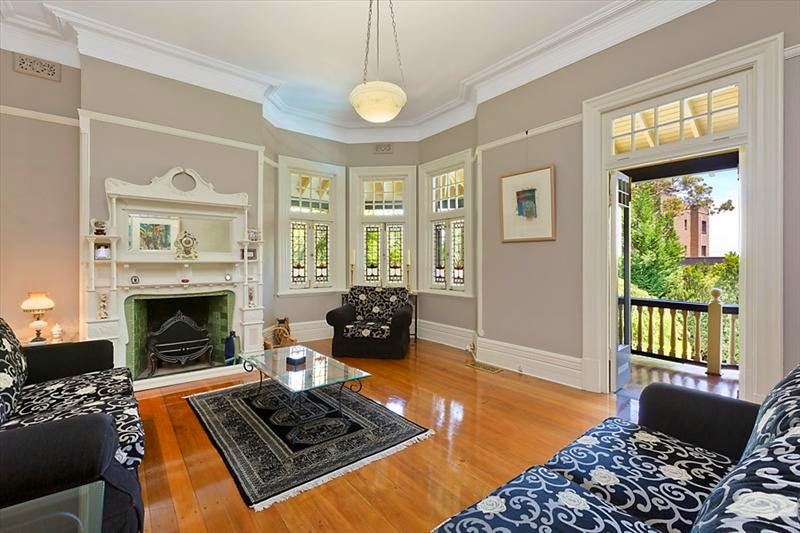 This federation bungalow has Art Nouveau inspired archways in the verandah. 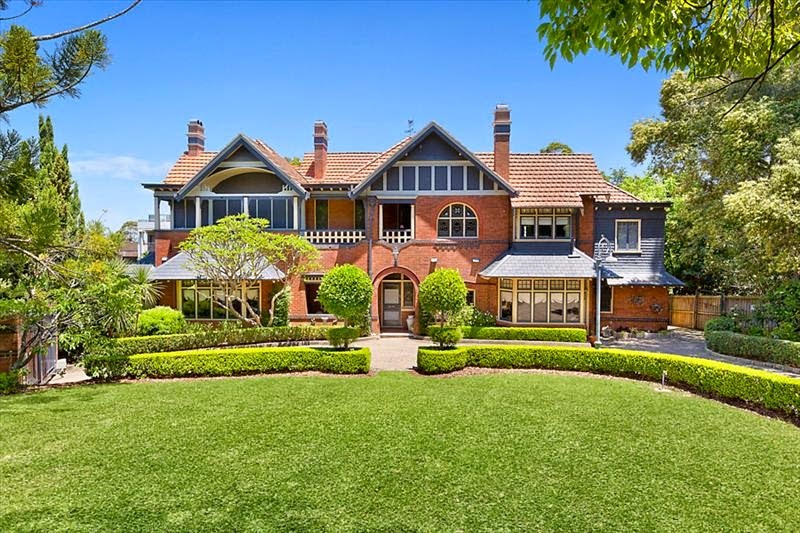 “Beautiful ‘Brenchley’ is a significant 1907 federation home of outstanding scale and beauty providing first class family living on a magnificent 1,941sqm. 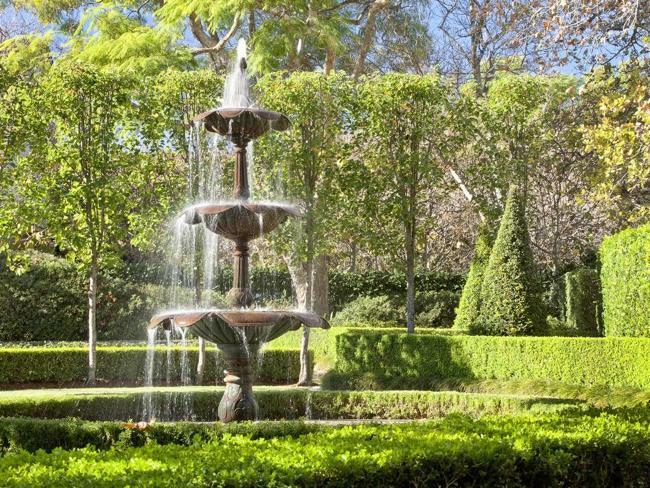 Surrounded in glorious Peter Fudge designed gardens, it strikes a perfect balance between classic and contemporary. Comprehensively updated and extended under the guidance of acclaimed architect Hugh Fraser, the extension superbly complements the original home, being designed with creative flair and meticulous attention to detail. Accommodation – ‘Brenchley’s traditional features have been cleverly enhanced, extending its already impressive proportions and period charm. 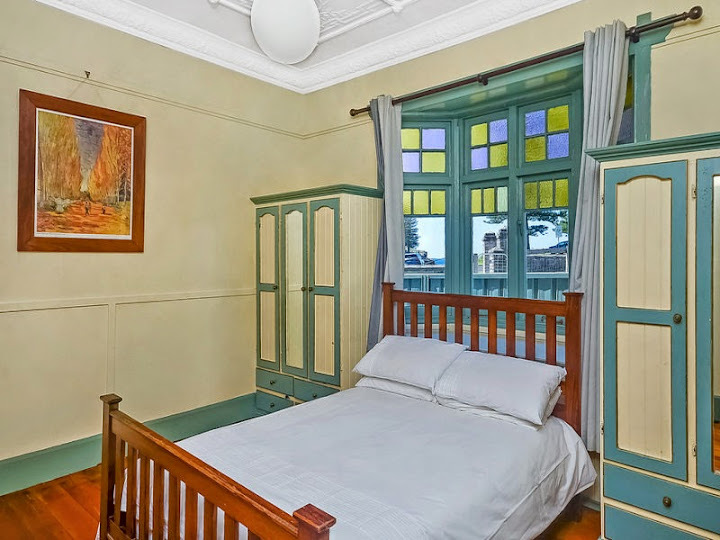 All of the original Federation features have been kept, such as ornate ceilings, beautiful timber fireplace, picture rails, ‘port-hole’ leadlight window, and leadlight ‘Art Nouveau’ style transom lights above the main windows. A wide entry hall flows to the elegant formal living and dining rooms, casual dining and living areas and striking family focused entertainer’s kitchen – the heart of this home. The deluxe kitchen which also features a large Carrera Marble island dining bench and range of Miele appliances. 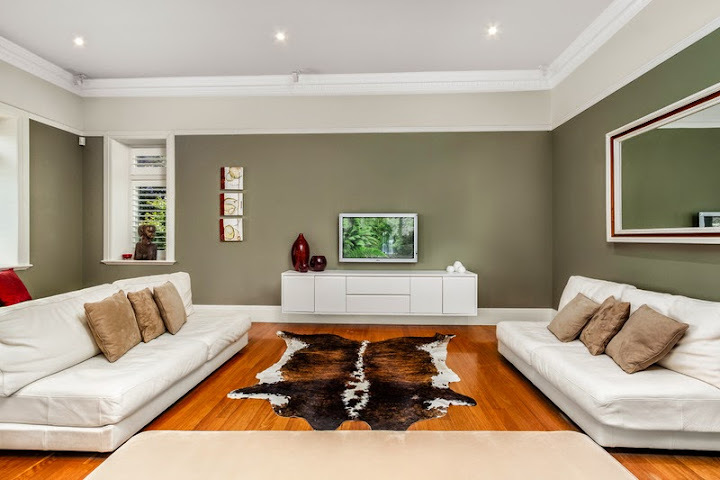 A TV room and lower level family room provide wonderful breakout areas for the busy family. 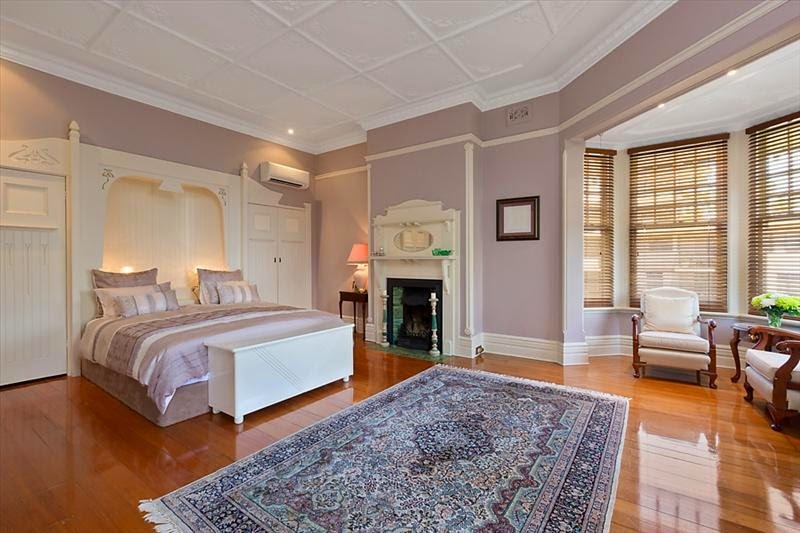 Many of the rooms extend to the cool wraparound verandahs and tranquil alfresco spaces. 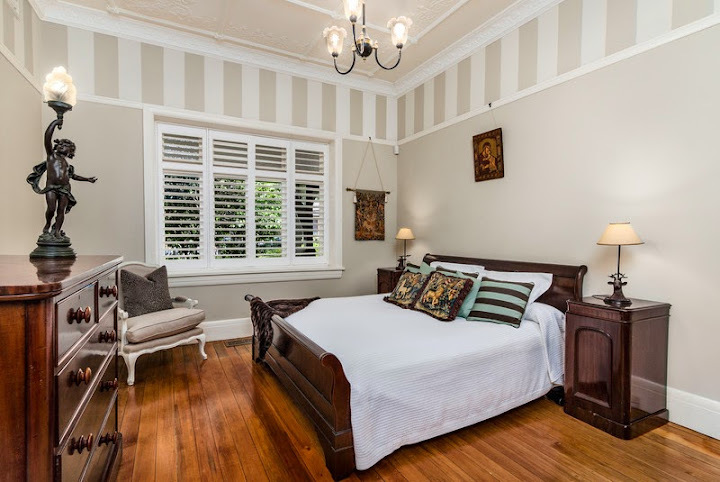 Beautifully appointed marble bathrooms and Original Kauri Timber floors, soaring decorative ceilings and original fireplaces. 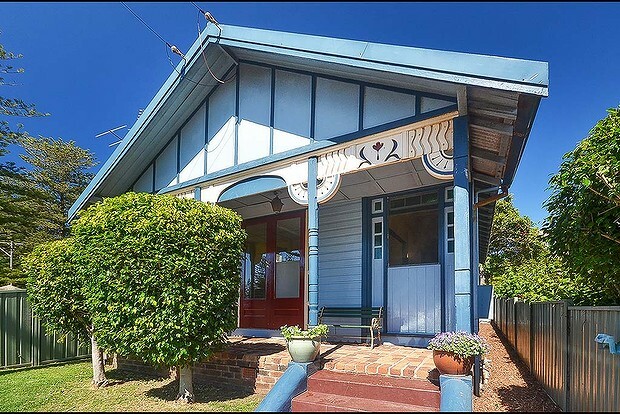 Positioned at the easterly end of Kiama’s main street, this circa 1890 cottage is the closest house to the town’s famous blowhole and it has an unrivalled northern outlook over the boat harbour. It has original ornate ceilings, stained-glass windows and timber floorboards; and in a unique twist, several of its doors and windows were taken from a pub that burnt down 50 years ago. 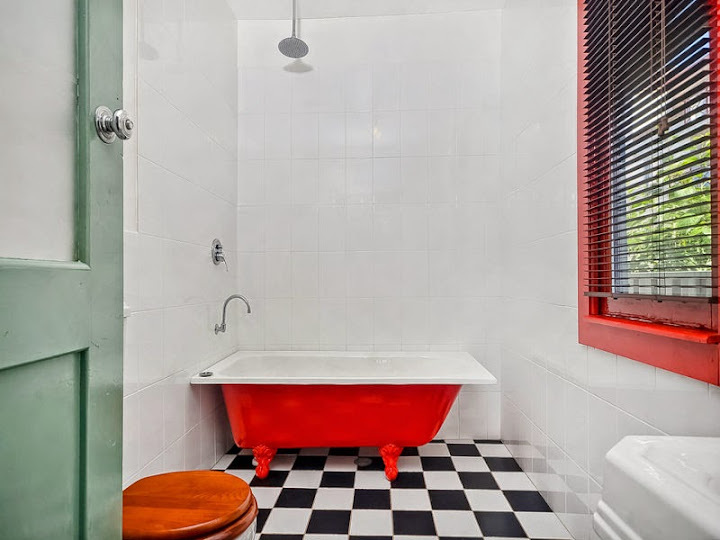 The current owner recently renovated the bathroom and repainted the original claw foot bath. Currently zoned 2B for business use, the cottage would make an ideal home or a cool, retro-style holiday rental. This is truly one special home. 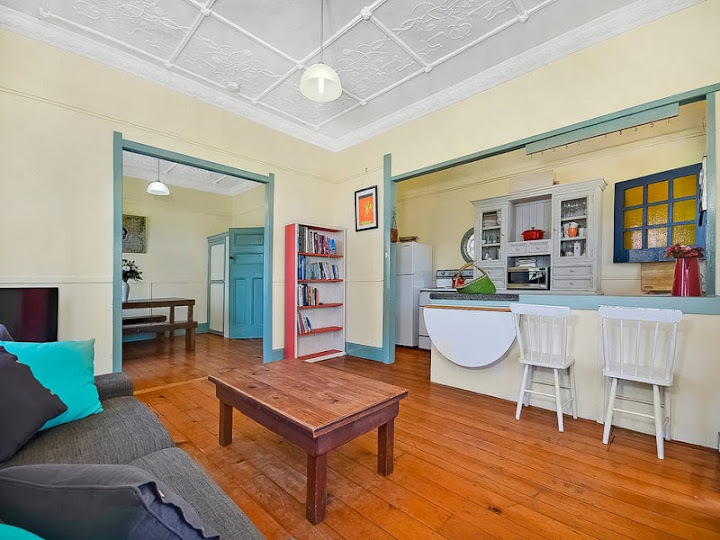 Situated opposite Kiama Harbour & Storm Bay this unique cottage will appeal on so many levels. 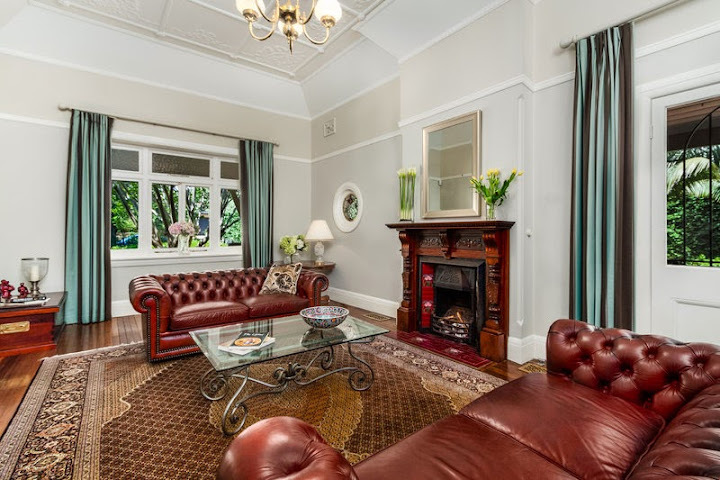 The moment you walk through the front doors, you are immersed in Kiama’s history. 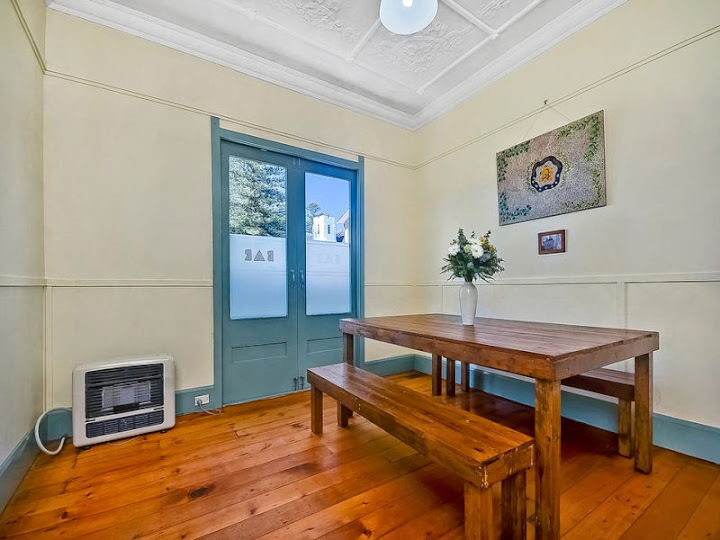 Circa 1880, this cottage will easily impress with its high ornate ceilings, original floorboards, stained glass windows, original claw foot bath and uninterrupted views that can be taken in from the living area. 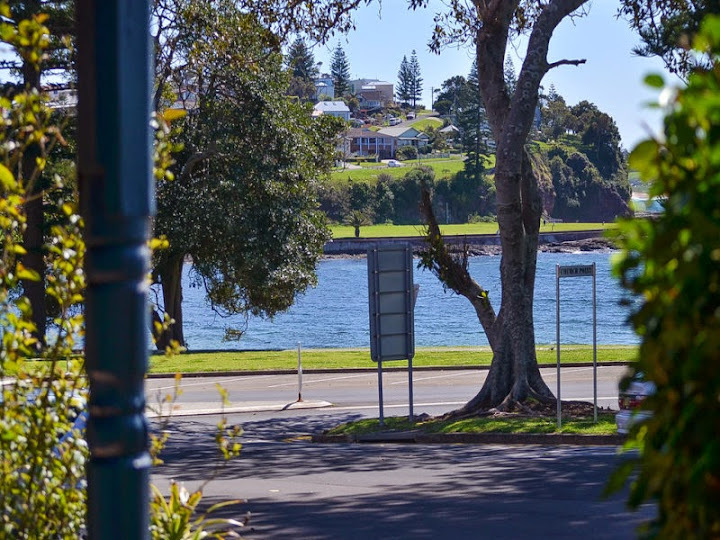 An additional storey would ensure one of the best views in Kiama encompassing not only Storm Bay and Kiama Harbour but also the iconic Kiama Lighthouse. A lovely light filled home with its north facing aspect allows the sun to stream in. The location is incredible. 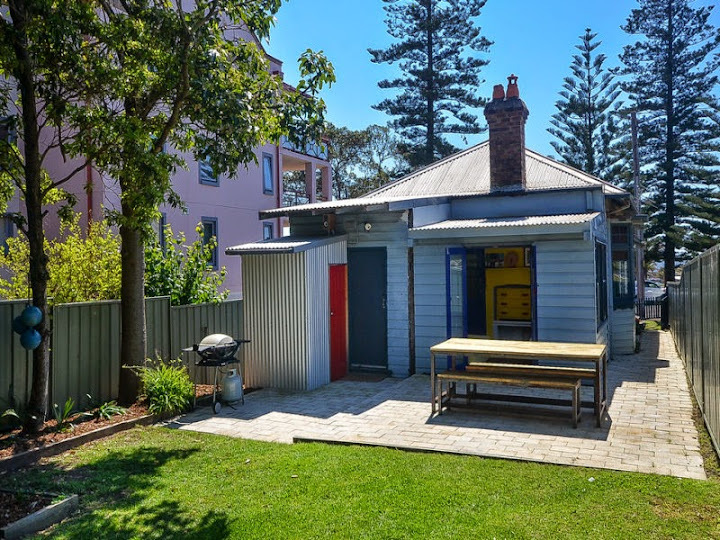 Kiama Harbour is across the road, the cafes and shops are literally less than a minutes stroll. 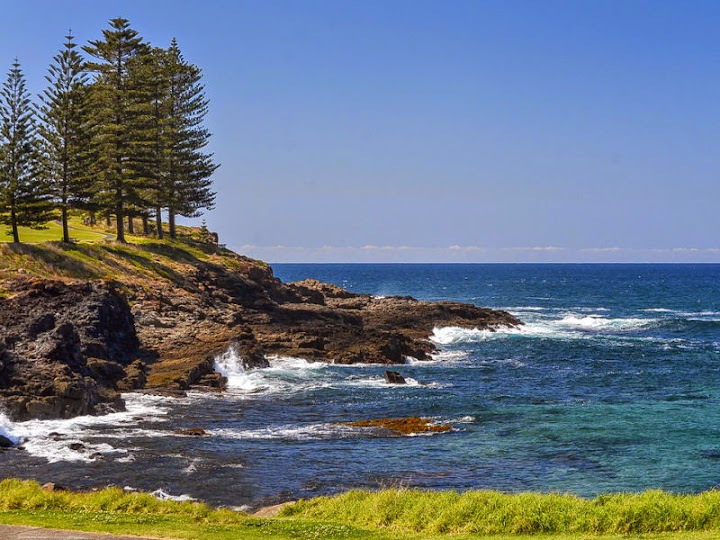 Kiama Surf Beach and the famous Kiama Blowhole is an easy 5 minutes by foot. Everything is at your fingertips. 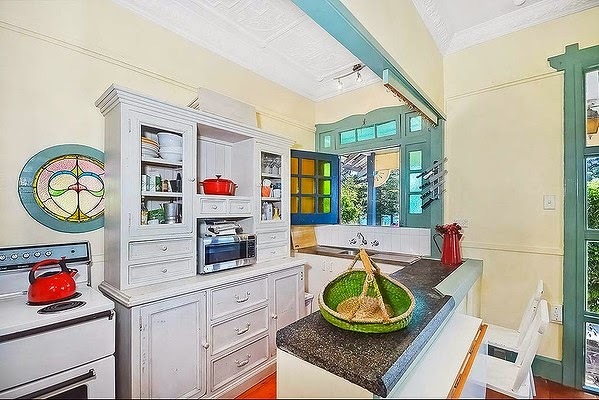 This famous cottage can be used for so many purposes. Either live in on a full time basis, use it as your weekend escape or be the savvy investor and holiday let to earn some serious returns. Currently zoned B2 for business use. 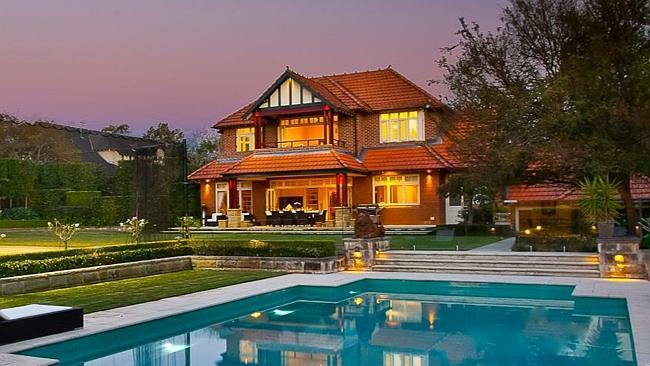 “A SPRAWLING nine-bedroom mansion in Killara is set to become the most ­expensive property on the upper north shore. 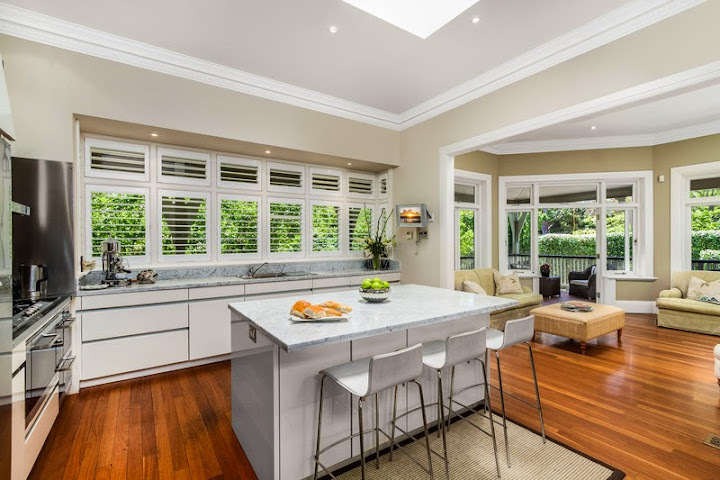 “This property will set a new benchmark for the prestige property market on the upper north shore,’’ selling agent, Glenn Curran from Curran Property, said. 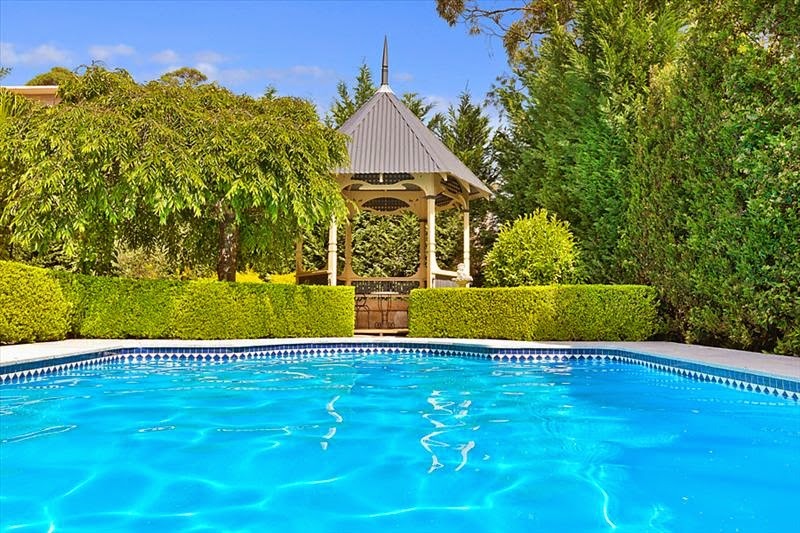 The current highest-selling residential property is 27-29 Chilton Pde, Warrawee, which set a record when it sold in 2010 for $11.5 million, ­according to CoreLogic RP Data. 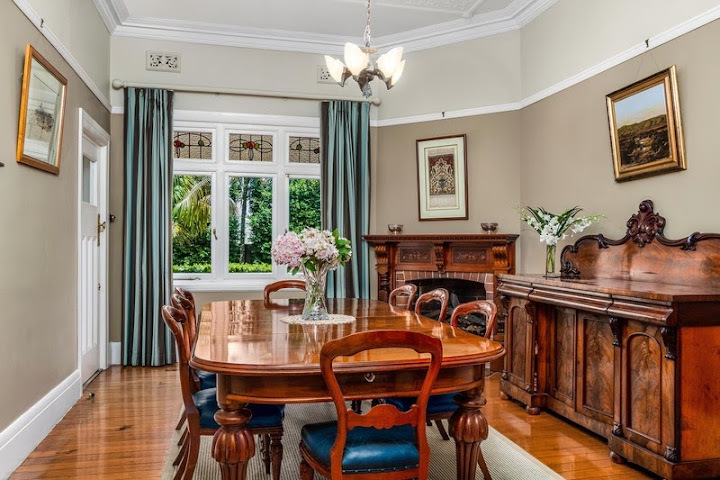 While the agent has ­remained tight-lipped about the exact price guide, he said he expected the property to exceed the current record. 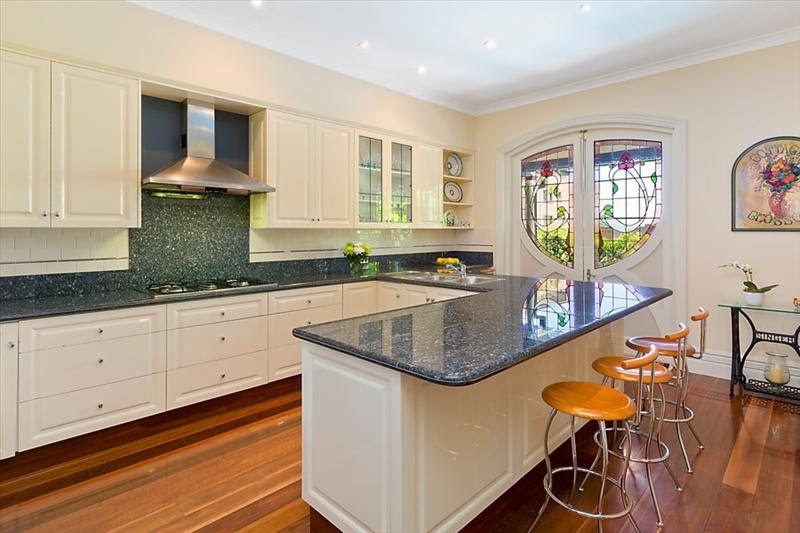 Steeped in history, this north facing home is graced with revived classic details, bespoke finishes and state of the art technology, taking pride of place on an exclusive, tree-lined street just footsteps to Killara Oval, Killara Station, and the North Shore’s most exclusive schools. A view of the swimming pool, tennis court and golf driving range from the cabana.The style is Federation Queen Anne, but with no gothic features. At the heart of the home, the vast north-facing family entertaining space encompasses a fully integrated statuario marble Miele gas kitchen and professional cool room for effortless large-scaled entertaining, while ‘smart home’ automation seamlessly controls audio, lights, security, TV, air-conditioning and pool heating. 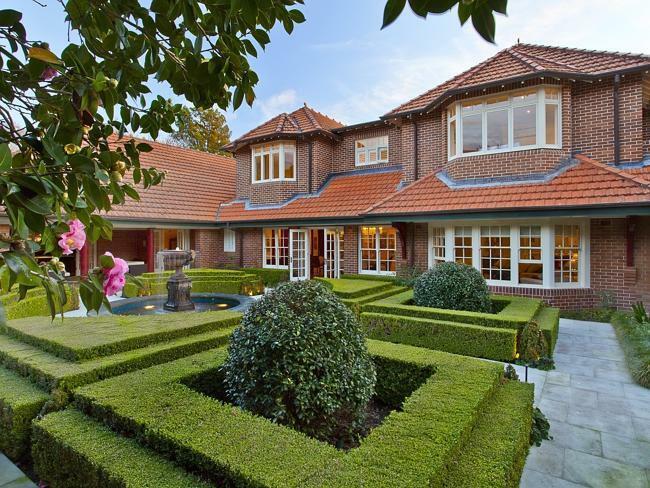 Elaborate lawns and manicured gardens frame the property. Some of Ballernoo’s luxury features include a golf driving area, tennis court, mosaic-tiled pool and spa, poolside cabana, guest cottage and sculpted gardens inspired by Versailles. There is also plenty of room for a large family with nine bedrooms, seven bathrooms, an undercover dance floor, gym and home theatre spread over 1000sq m of ­internal space. 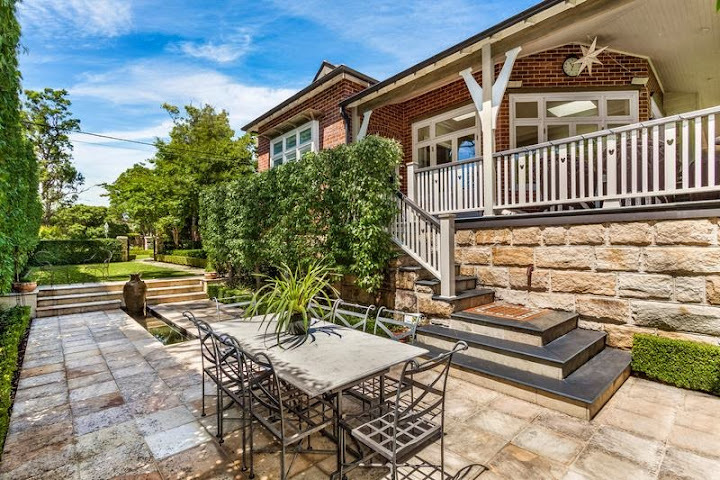 “The upper north shore market and Killara in particular has performed well this year,” Mr Curran said. A sweeping driveway makes an impressive entrance into Ballernoo. 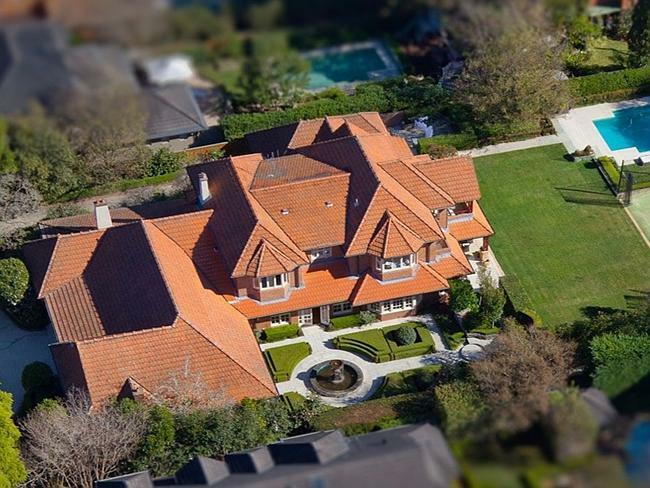 An aerial shot of the property showing the sheer size of the estate. The ‘massed’ rows of windows are a feature of Arts and Crafts style. 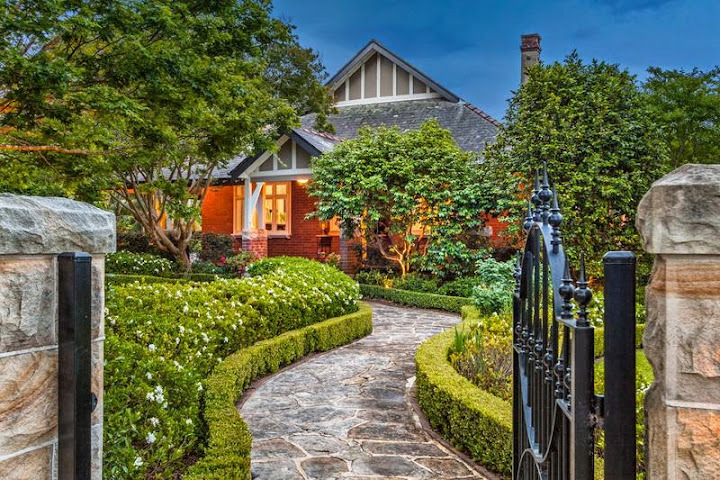 Killara is the upper north shore’s fifth most expensive suburb, with a median house price of $1.9 million. Ballernoo is open to ­expressions of interest. For more information, contact Curran Property.